SOUTH HOLLAND, IL – In Celebration of the 50th Anniversary of the Fair Housing Act of 1968, South Suburban College’s Office of Student Life, along with the South Suburban Housing Center, will be presenting an exhibit of photographs by Bernard J. Kleina entitled “The Chicago Freedom Movement 1965-1966” from January 15-24 in the college’s first floor MB Financial Bank Room. Included in the exhibit are rare color images of Dr. King, Coretta Scott-King, Rev. Jesse Jackson, Al Raby, and Ralph Abernathy, as well as images of those who attempted to disrupt the peaceful marches. Mr. Kleina’s photos has been shown in more than 35 cities as well as at the Birmingham Civil Rights Institute, the Rosa Parks Museum in Montgomery, Alabama, the Illinois State Capital Building, the Cincinnati Museum Center, a permanent exhibit at the University of Washington School of Law, Seattle, and the Toledo Museum of Art. Dr. King was instrumental in the fight for open and fair housing both nationally and locally in the City of Chicago. 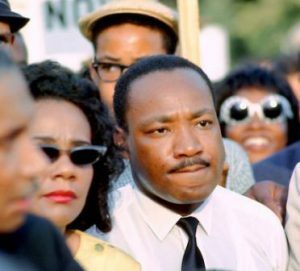 Upon his assassination and the public reaction that followed, advocates gained the momentum necessary to pass the Fair Housing Act just 7 days later. This exhibit demonstrates the devotion King and marchers had amongst strong opposition that allowed for the protections that we see today, 50 years later. Admission is free. South Suburban College is located at 15800 S. State Street. For more information about all of SSC’s programs, admissions and registration, please visit www.ssc.edu or contact the Admissions Office at (708) 210-5718.